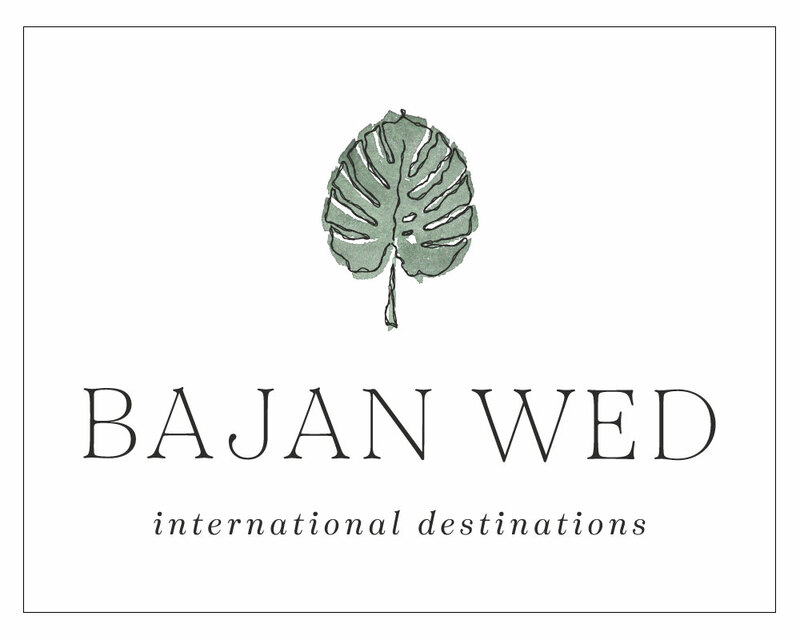 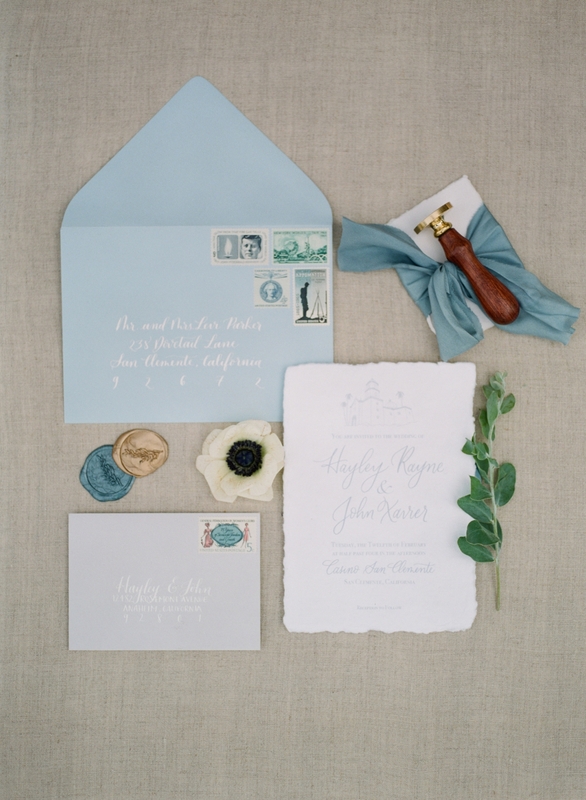 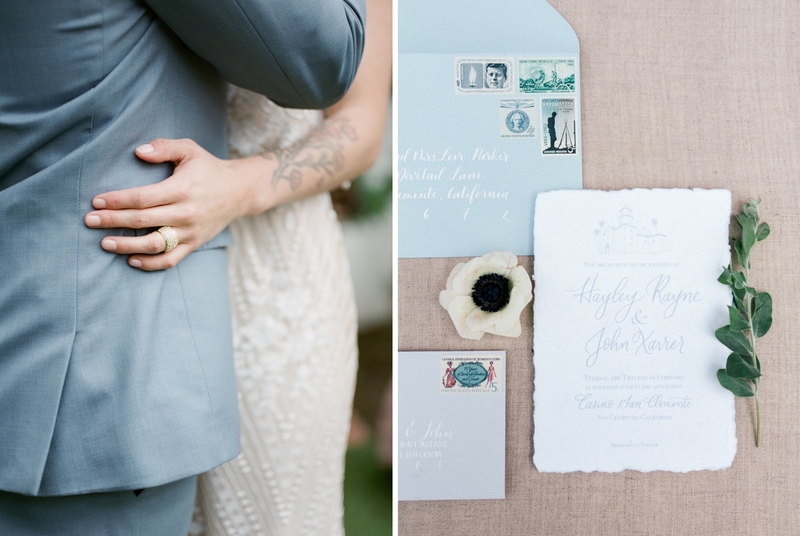 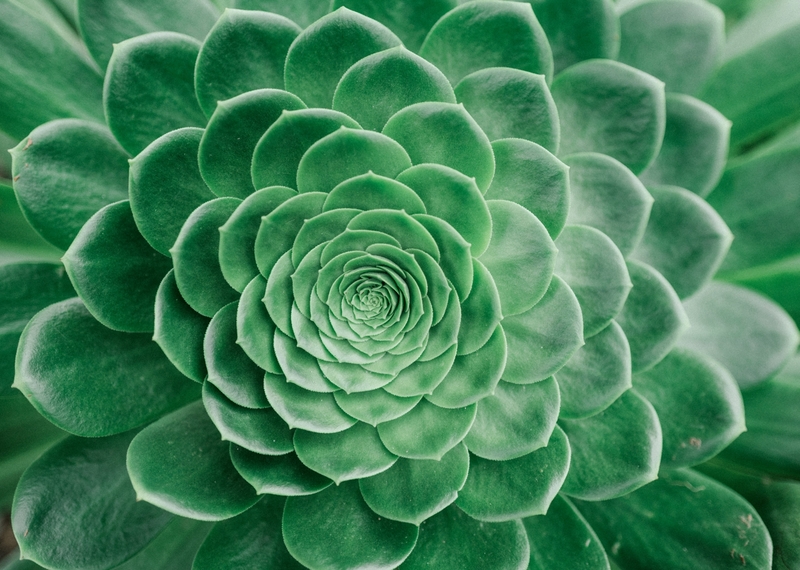 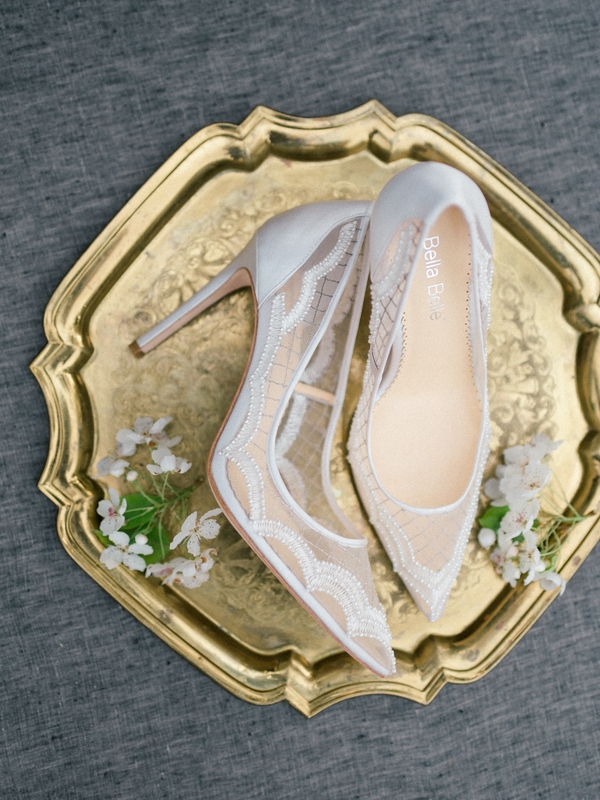 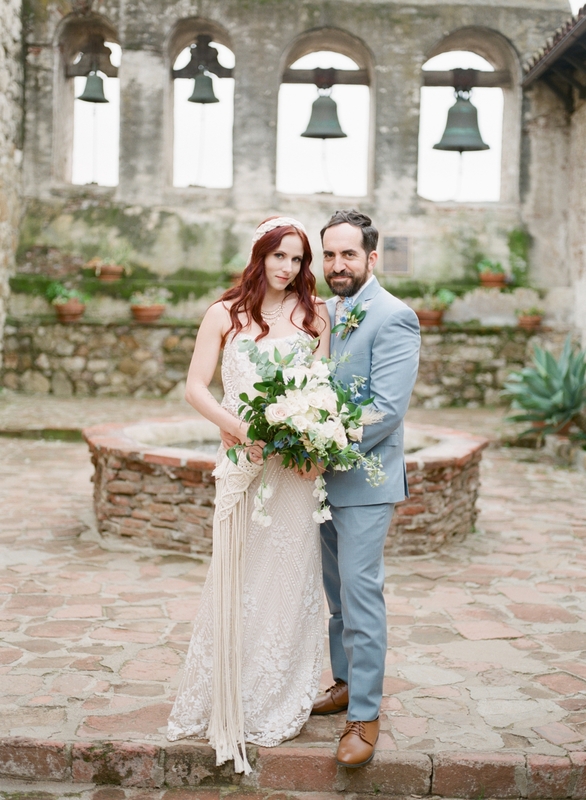 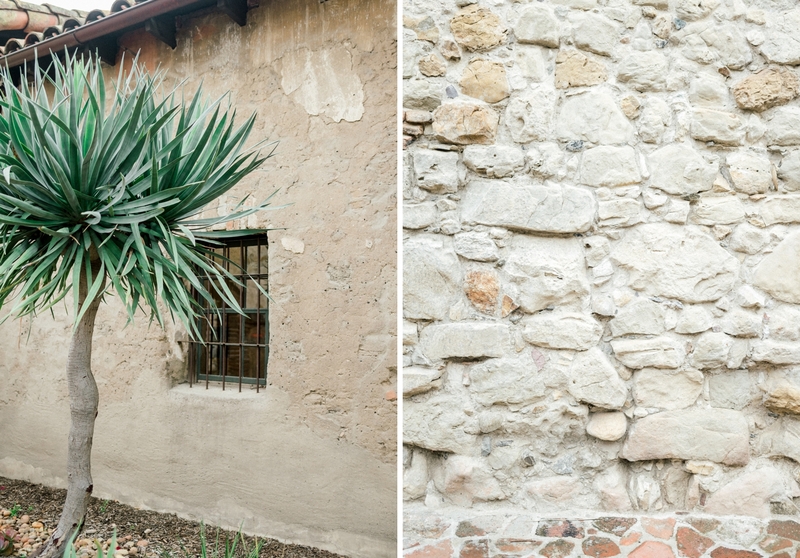 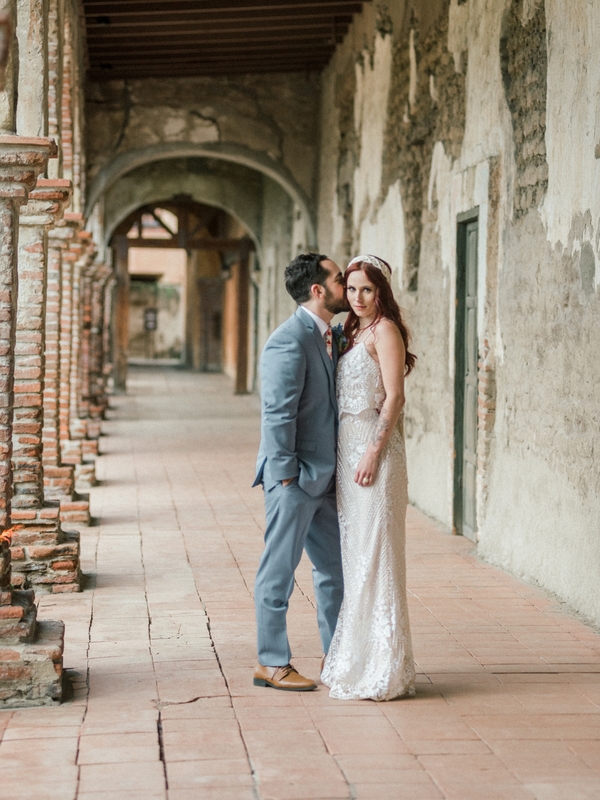 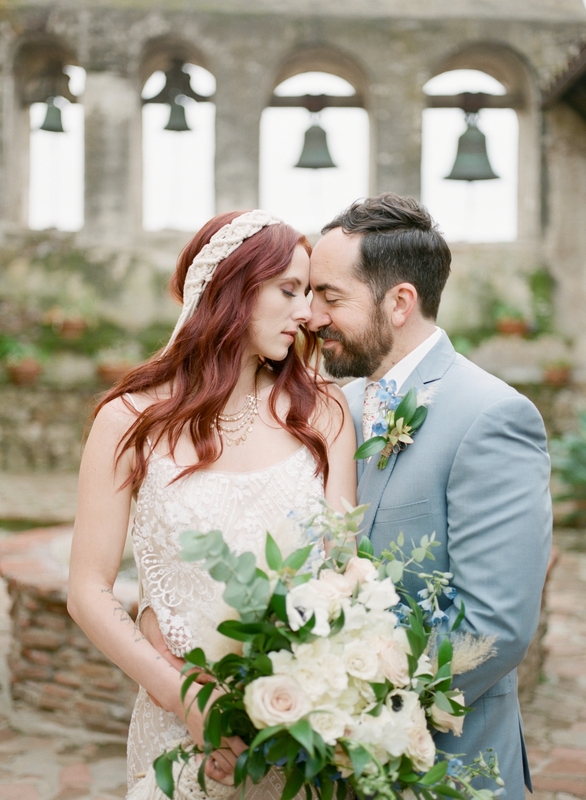 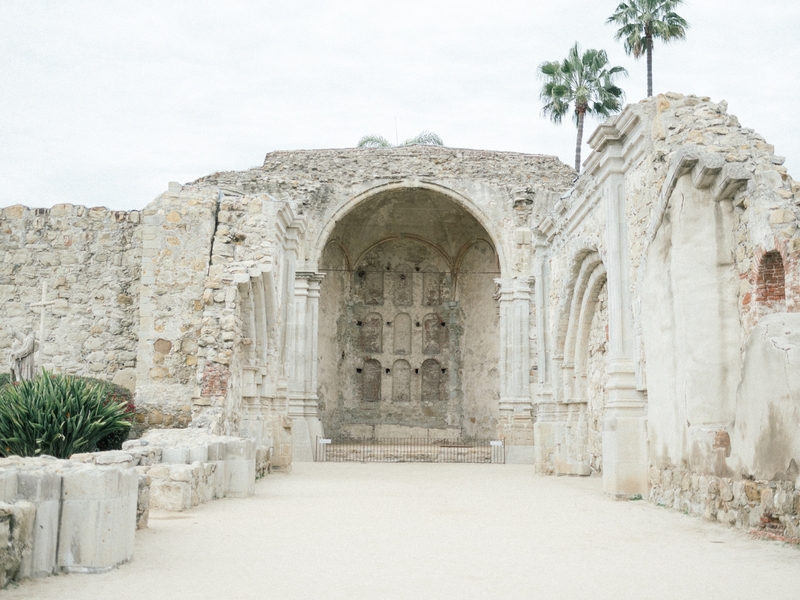 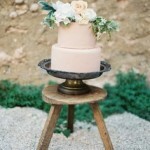 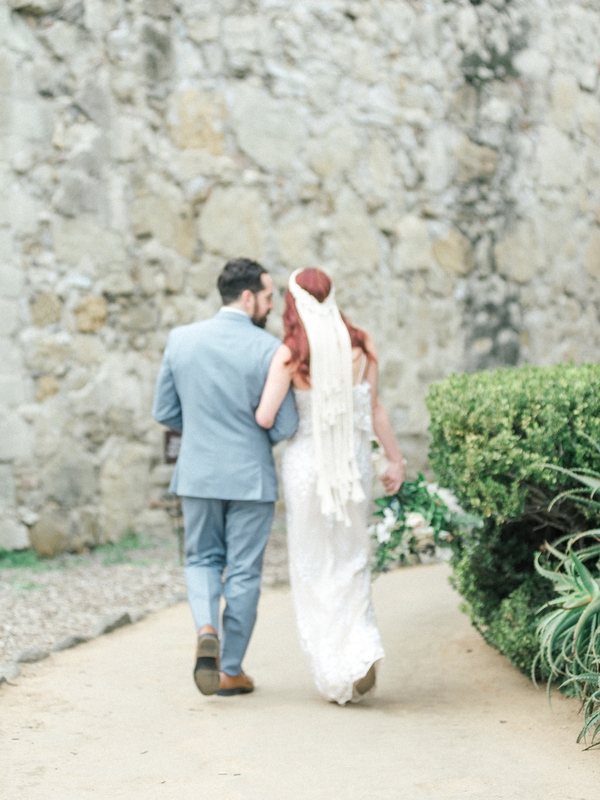 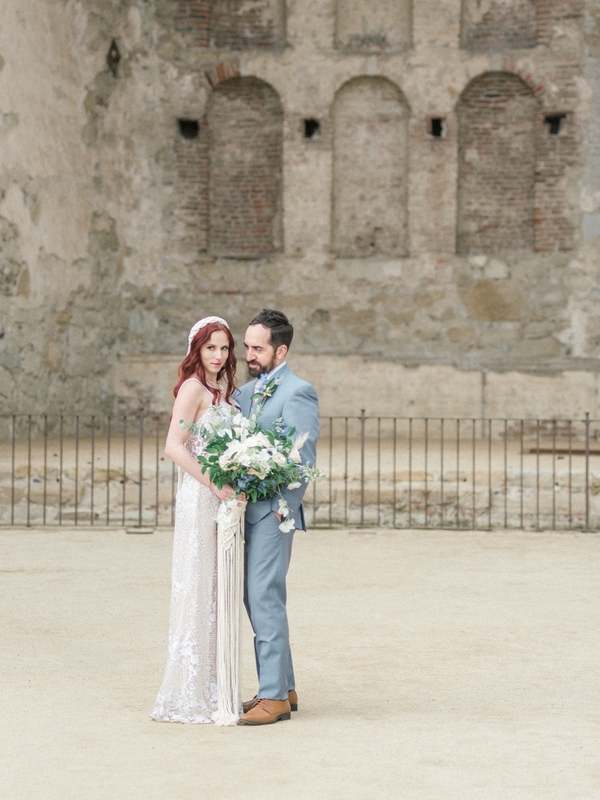 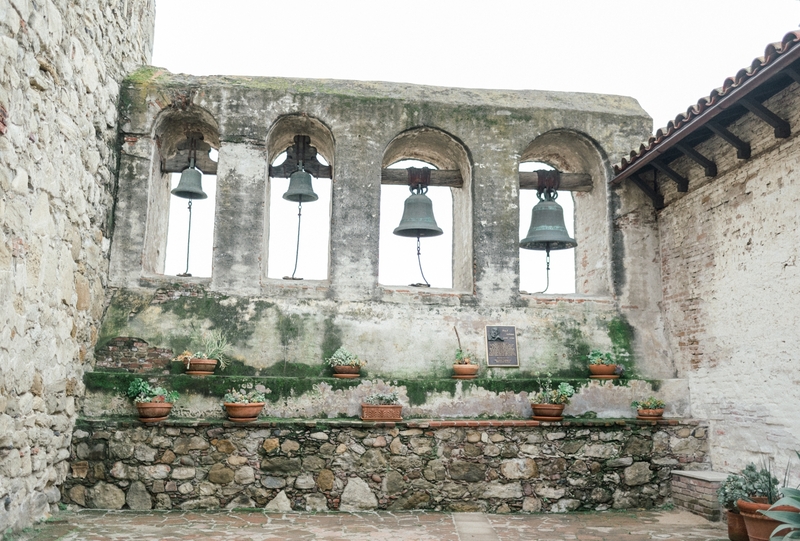 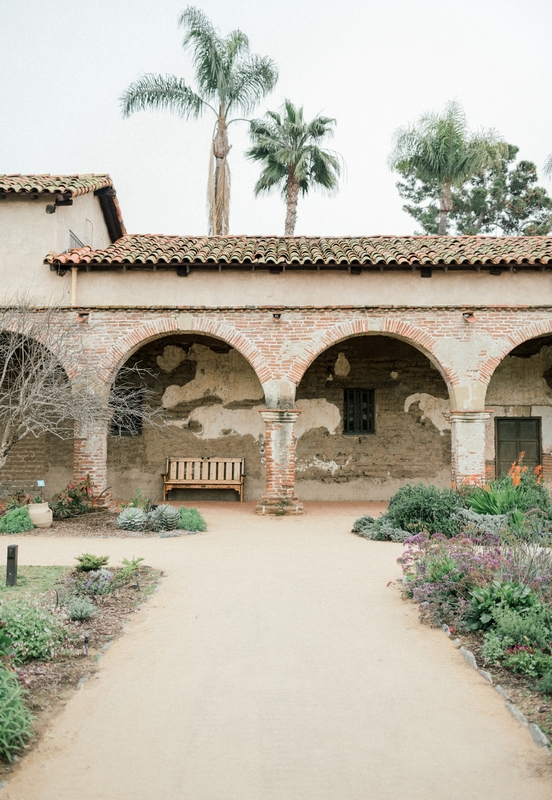 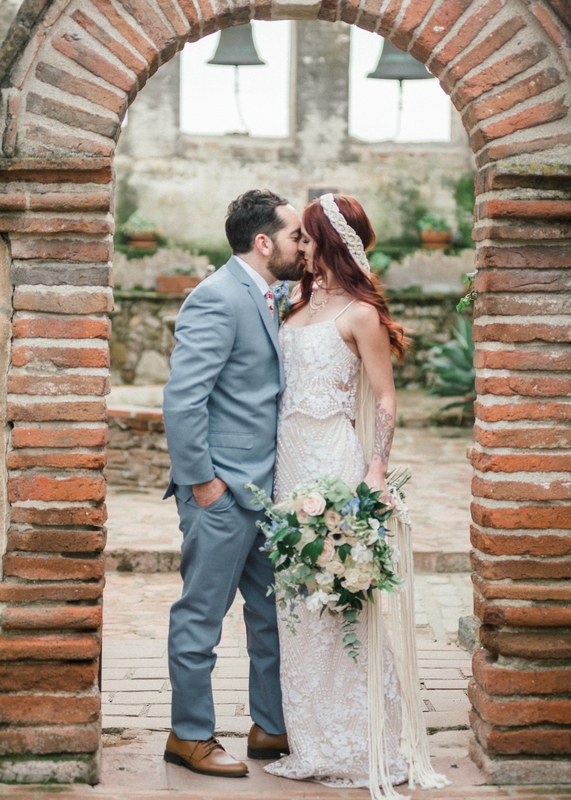 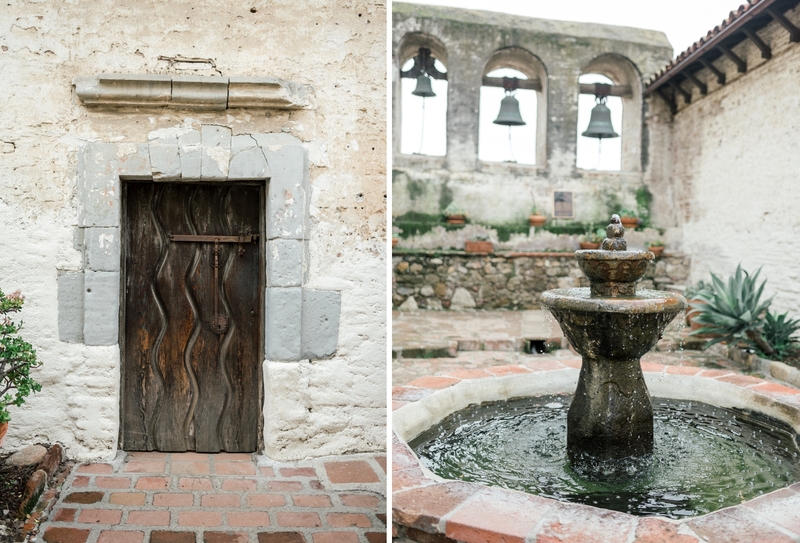 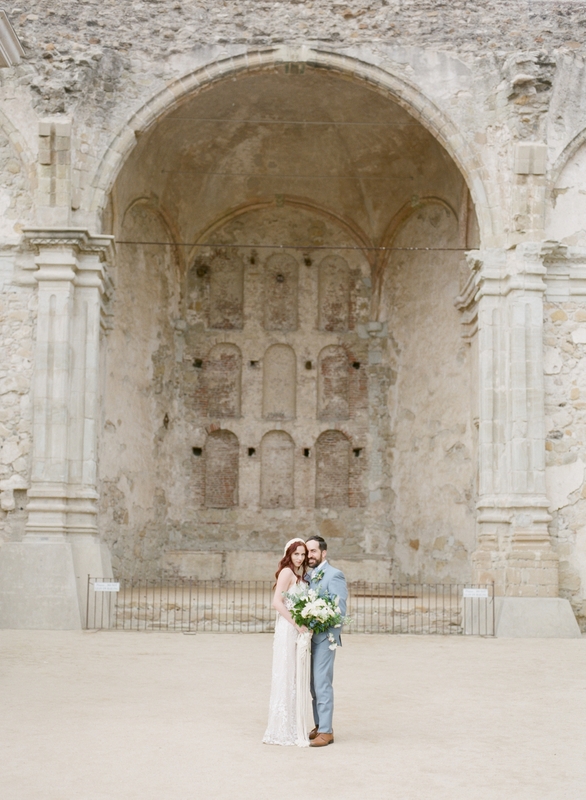 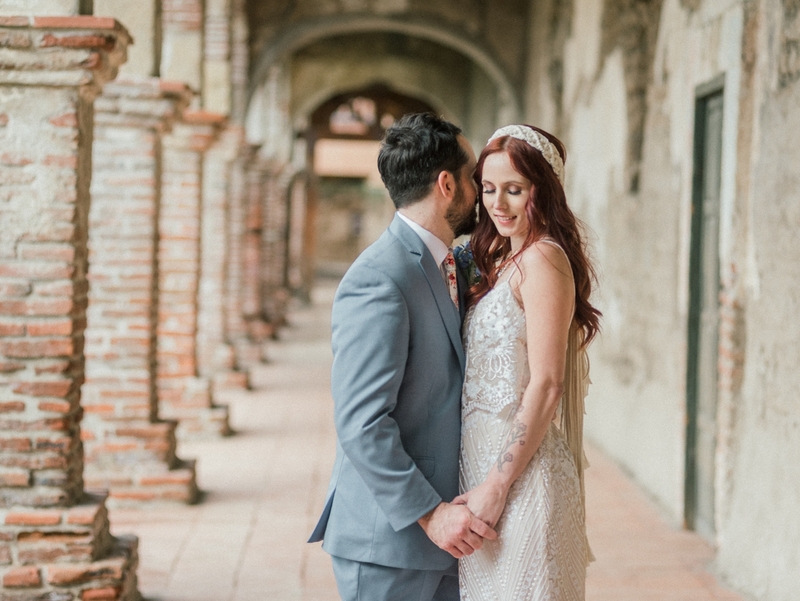 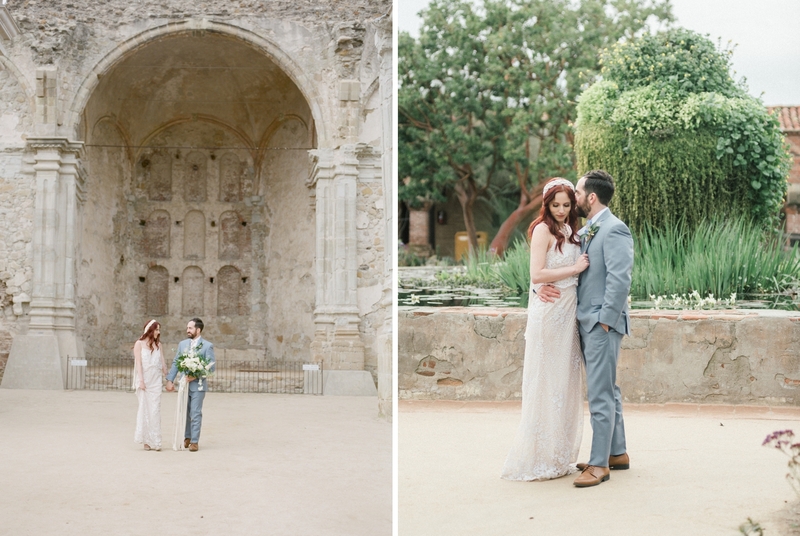 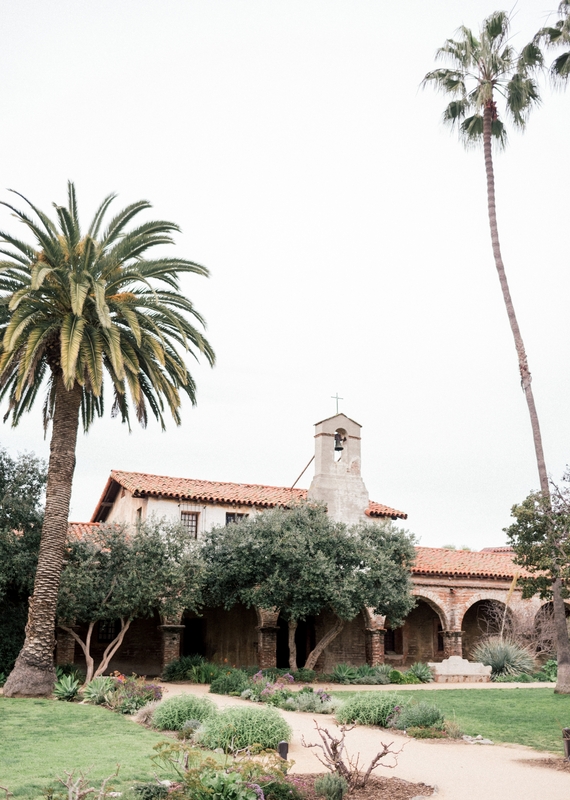 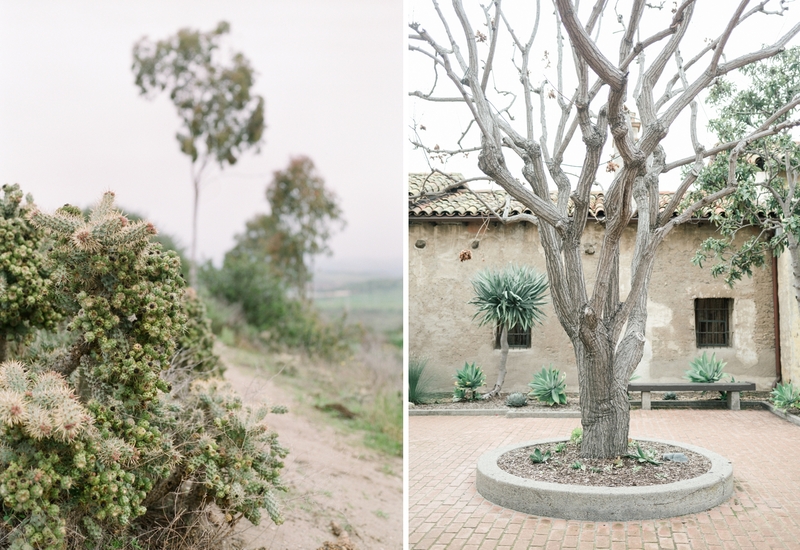 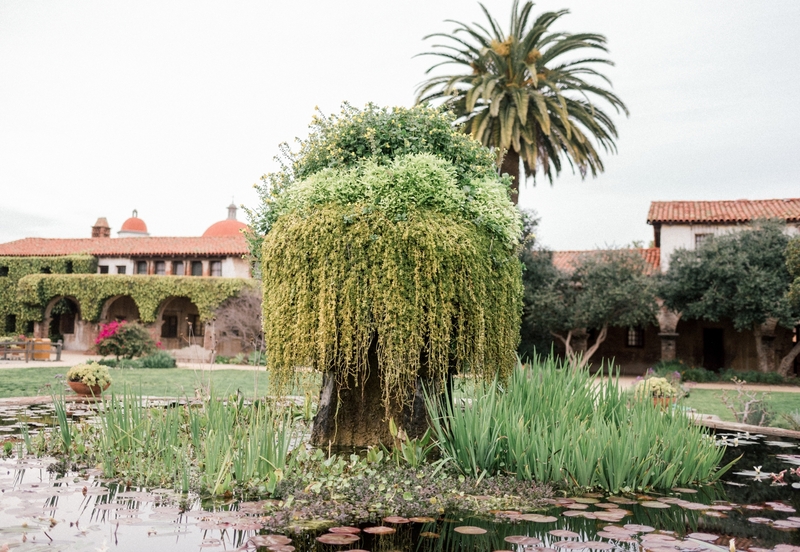 Today’s wedding inspiration comes to us from Bajan Wed Vendor Xsperience Photography, captured at the one and only Mission San Juan Capistrano. 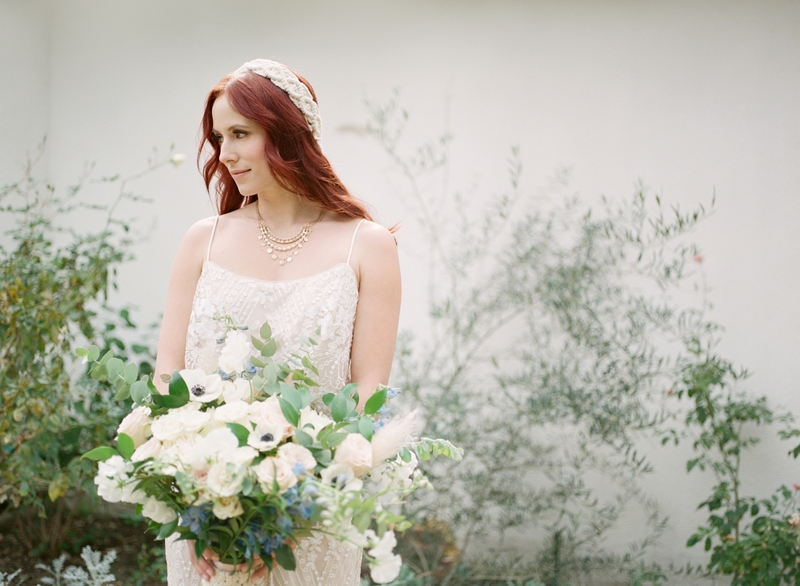 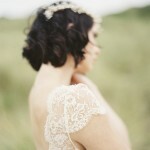 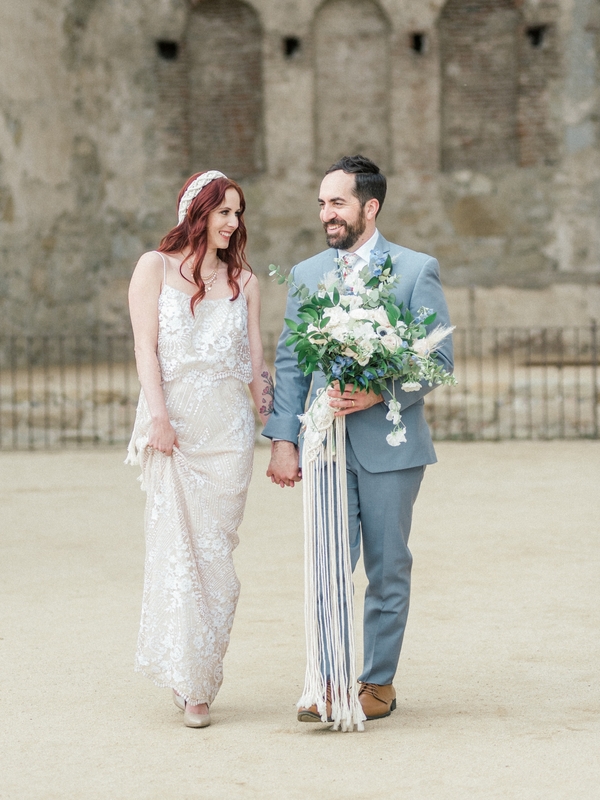 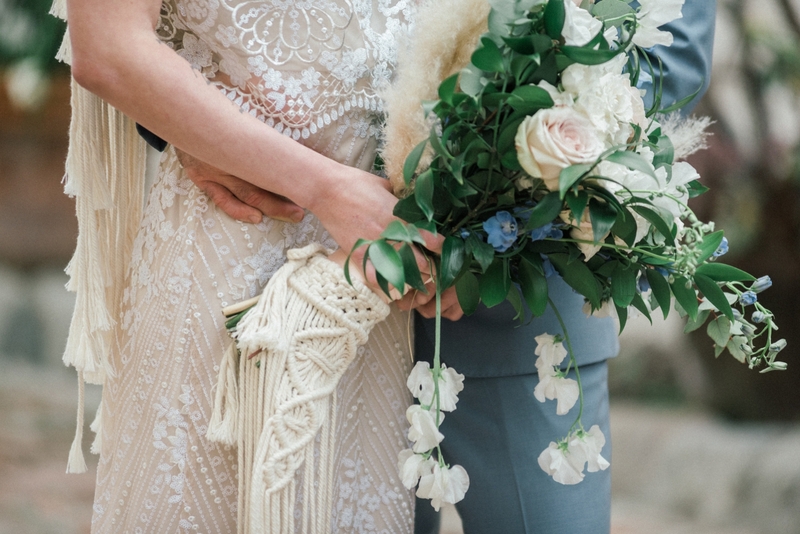 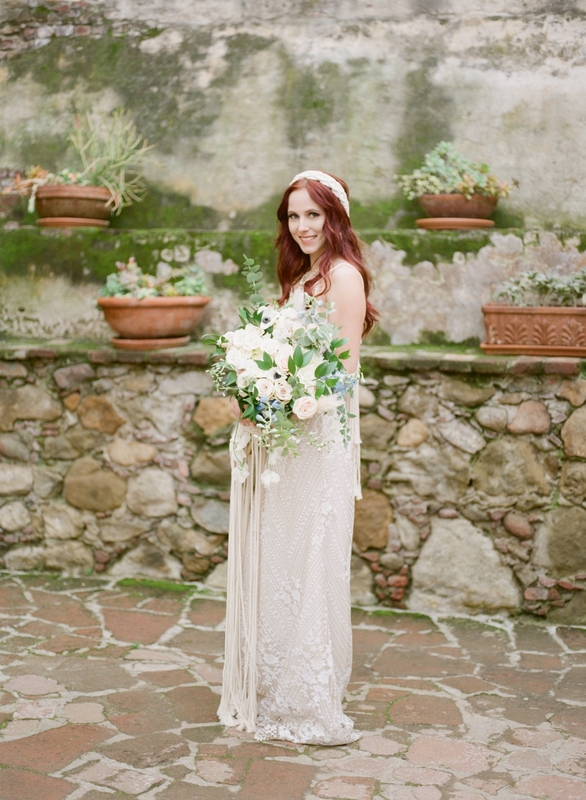 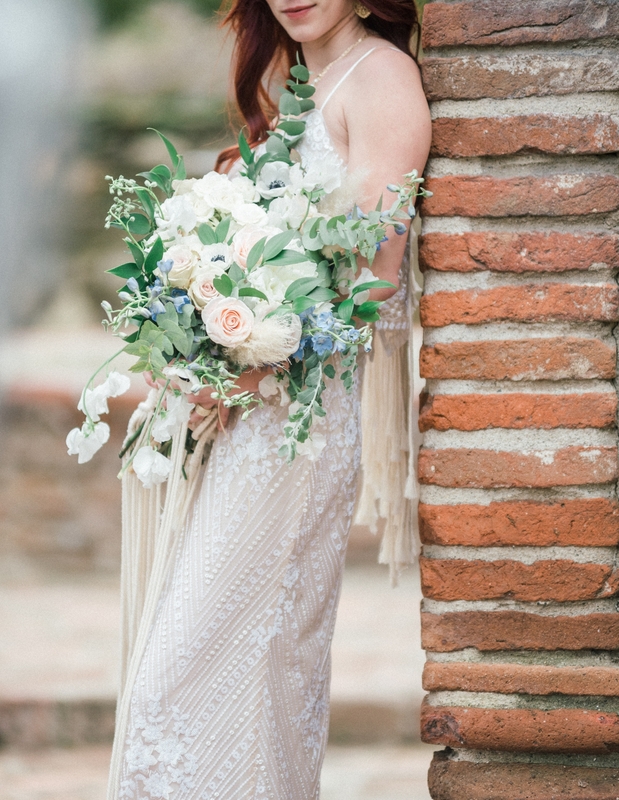 This old world backdrop was paired with a more bohemian vibe on the bride, who wore a crocheted veil with her BHLDN gown and a macramé attachment to her bouquet. We love the vibe captured here!